Photosynthesis is the means by which plants make use of chorophyll and light to produce energy. 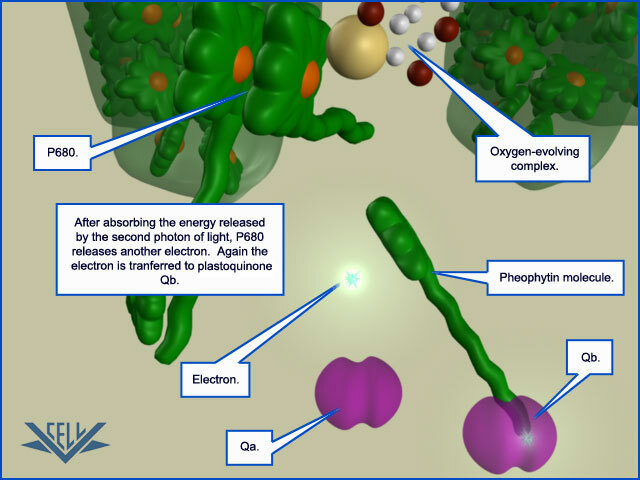 Photosystem II is a major complex in the photosynthetic electron transport chain and the only one that can produce oxygen from water and light. Photosynthesis is vital to life on earth. Photosynthesis occurs in all green plants and some algae. 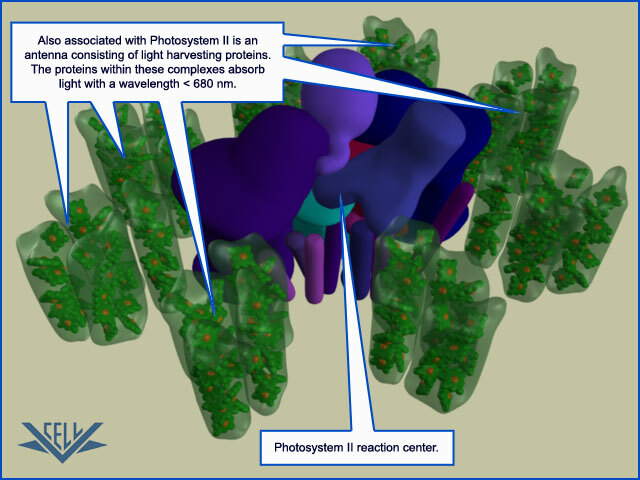 One of the first stages of photosynthesis involves Photosystem II. 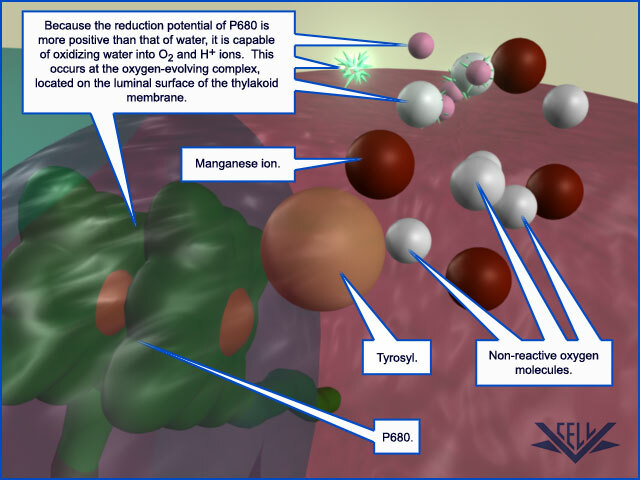 The oxygen we breathe is a product of the Photosystem II reaction. This animation will describe the processes that take place within this important complex. 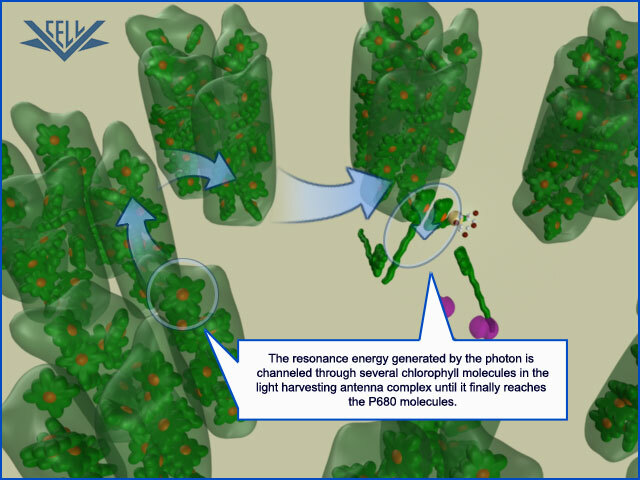 Photosystem II involves several key components, including: photons, light harvesting chlorophyll-binding proteins, a pair of chlorophyll molecules known as the P680 reaction center, pheophytin molecules, and plastoquinones–along with water and oxygen. 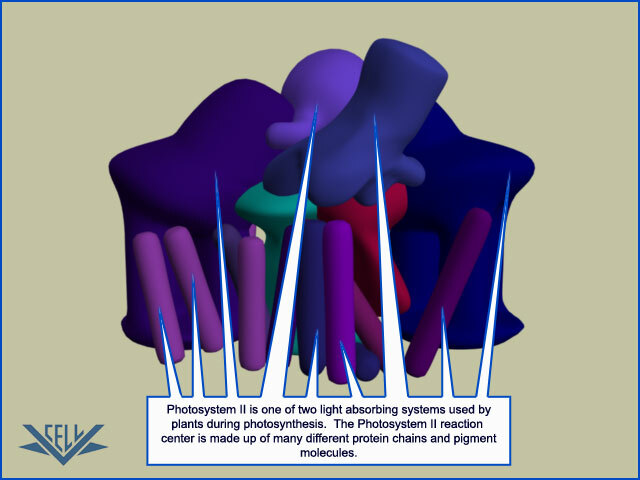 The reaction center of Photosystem II consists of multiple proteins and pigment molecules. At the heart of the reaction center is a special pair of chlorophyll molecules, p680 , which donate an electron to the electron transport system. 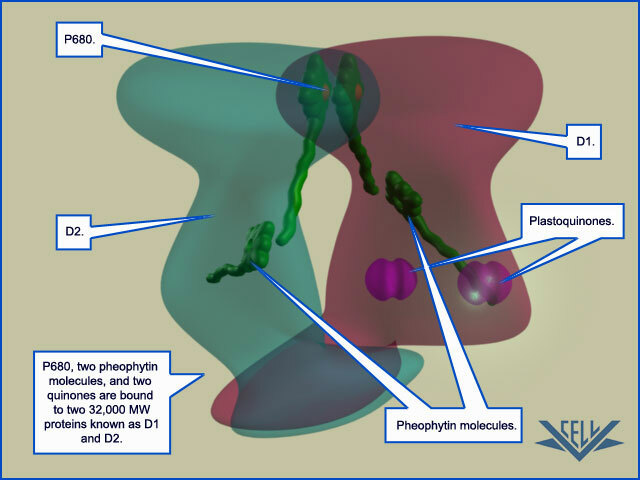 In Photosystem II, the electron is then passed to a pheophytin molecule. 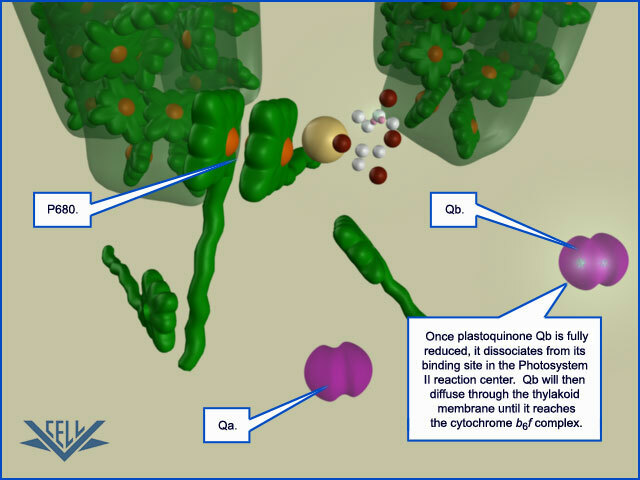 The electron is then passed to plastoquinone Qa and then to plastoquinone Qb. 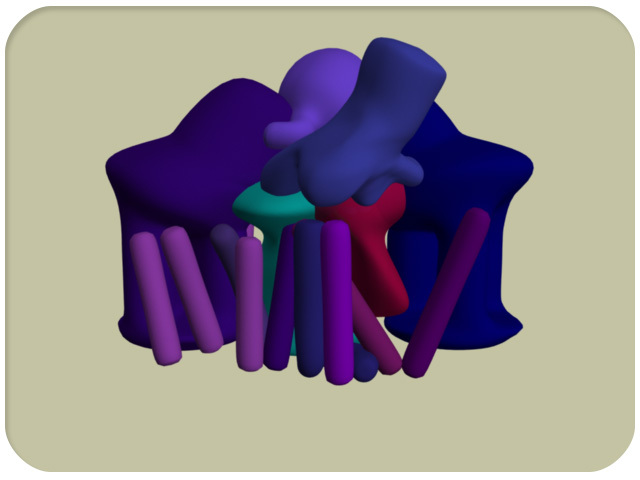 These plastoquinone molecules are embedded in the D2 and D1 proteins. Once Qb has accepted two electrons, it then acts as a mobile carrier to the next component of the photosynthetic electron transport system. Electrons from water are then transferred to the P680 molecules that have lost their electrons in the process. 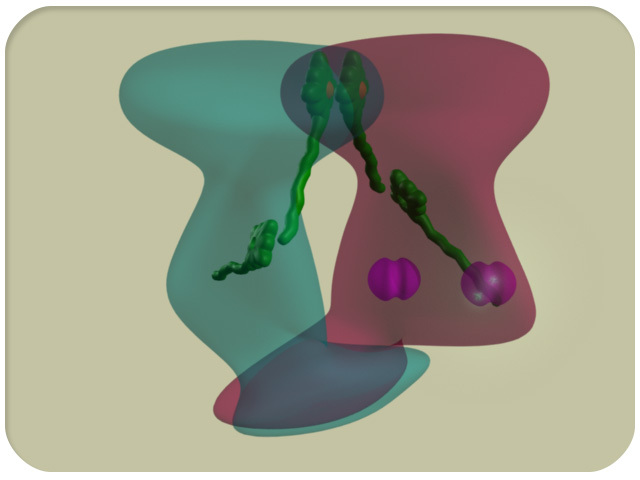 Additional proteins are involved in splitting the electrons from water. Still other proteins are necessary to build the complete photosystem reaction center. 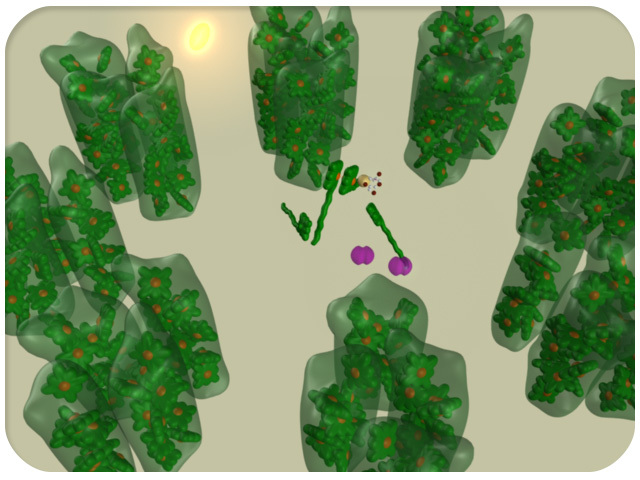 Surrounding the reaction center are light-harvesting chlorophyll-binding proteins. 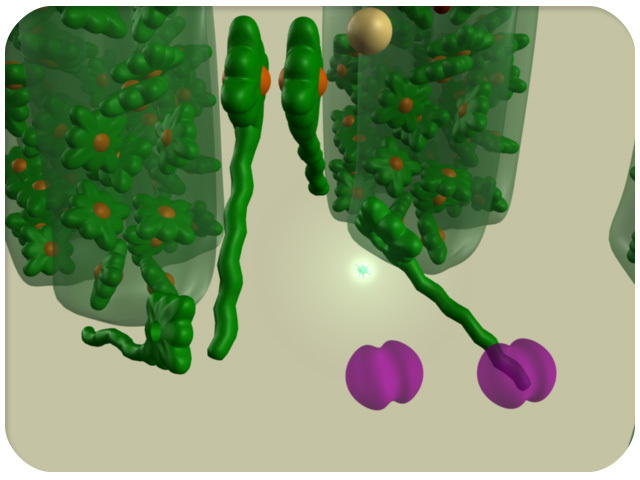 These proteins provide a way to harness the unique energy contained in light. 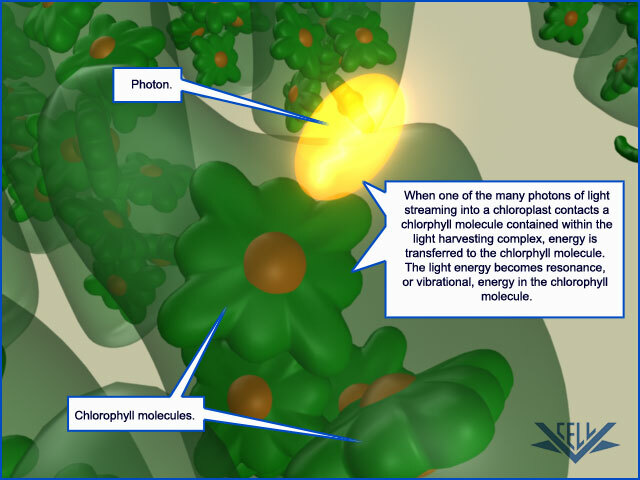 When one of the many photons of light flooding a leaf hits a chlorophyll molecule surrounding the reaction center, it creates resonance energy. You can think of this as vibrational energy. Here you can see the chlorophyll vibrating. That resonance, or vibrational, energy is then passed to a neighboring chlorophyll molecule. It is then passed through several chlorophyll molecules until it reaches the P680 reaction center . It is that energy that results in the loss of an electron from the P680 molecule. Now we can see how these processes work as a whole. 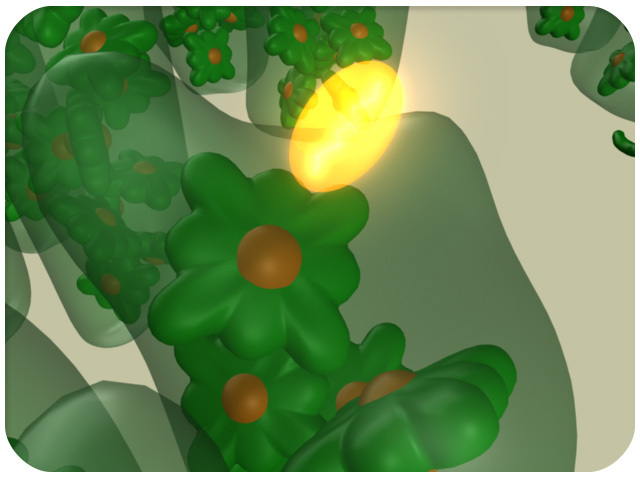 First a photon of light activates a chlorophyll molecule. The resonance, or vibrational, energy is transferred to the P680 molecules. An electron is lost from P680. It is then donated to Qa, then to Qb. 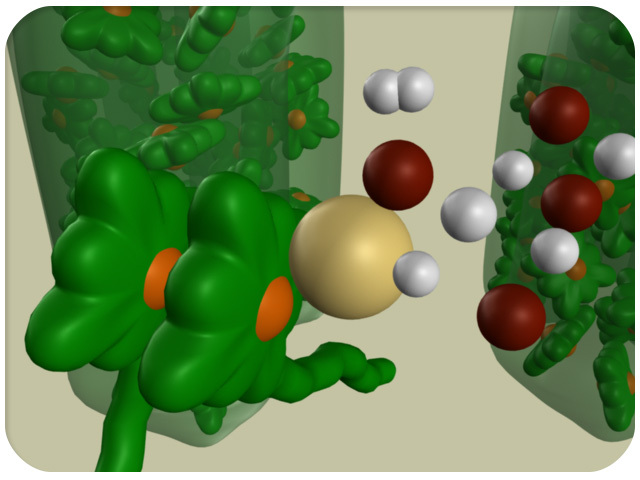 The P680 molecules are reduced by the addition of an electron generated by the splitting of water molecules at the oxygen-evolving complex. Since Qb needs two electrons to become mobile, a second photon of light is required. The resonance energy is again transferred to the reaction center. 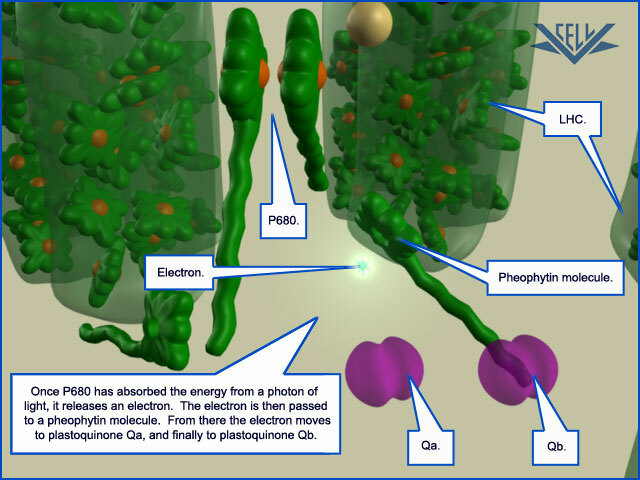 An electron is lost from P680 and transferred via Qa to the Qb, which already contains one electron. The fully reduced Qb is then transferred to the cytochrome b6f complex. 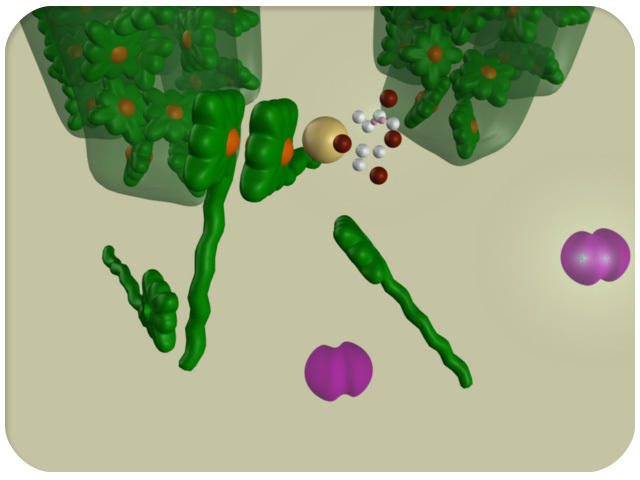 The P680 molecules are again reduced by the oxygen-evolving complex. Here you can see water being split at the oxygen-evolving complex. Two water molecules must be split to provide electrons to reduce p680. 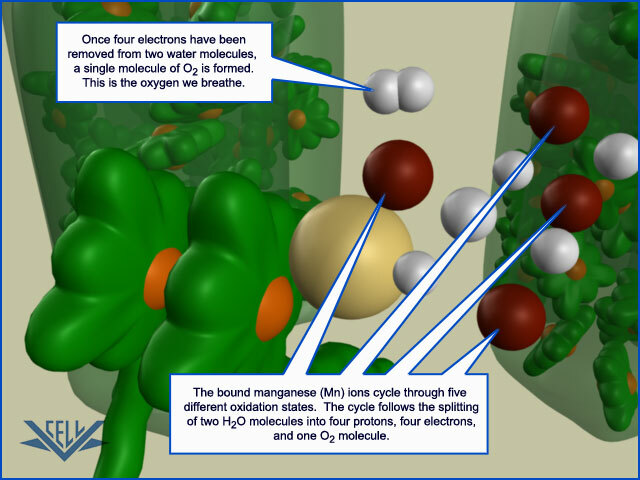 The oxygen we breathe is a product of this water-splitting process. View slides from the animation labeled with additional information. The Photosystem II reaction center is composed of many different proteins and pigment molecules. 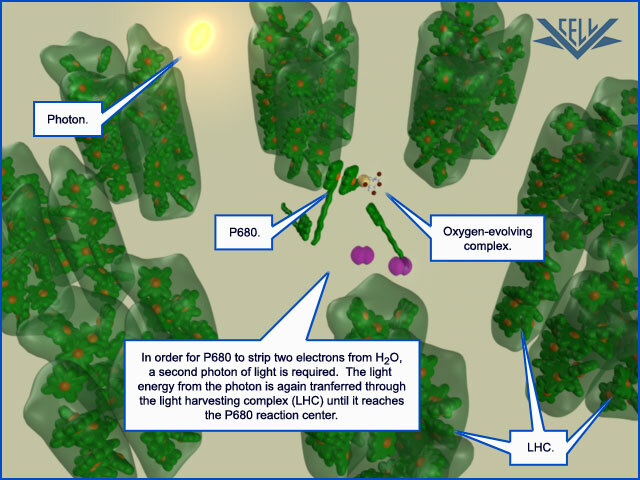 At the heart of the reaction center is a special pair of chlorophyll molecules known as P680, that donate electrons to the photosynthetic electron transport system. Along with two pheophytin molecules and two plastoquinones known as Qa and Qb. 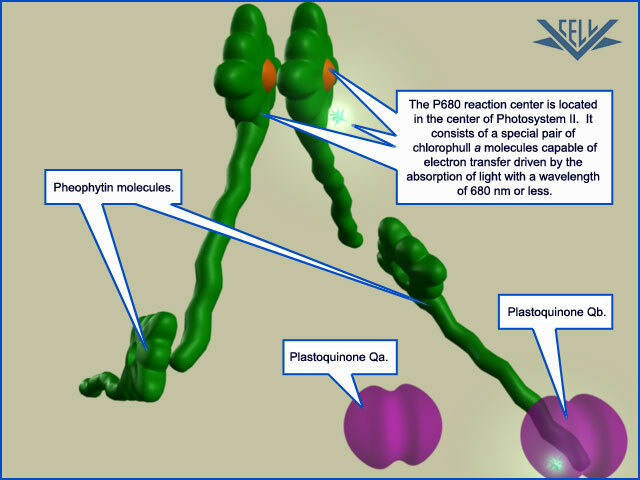 The P680 reaction center is bound within the the D2 and D1 proteins. 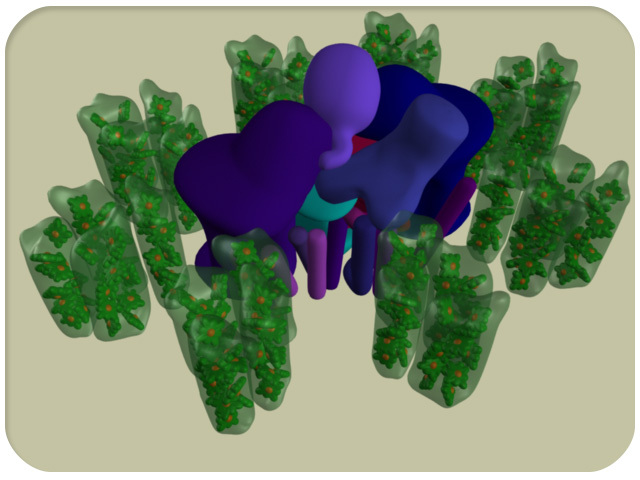 Located at the luminal side of the Photosystem II complex is the oxygen-evolving complex. Water molecules are split here to provide electrons that will reduce P680. 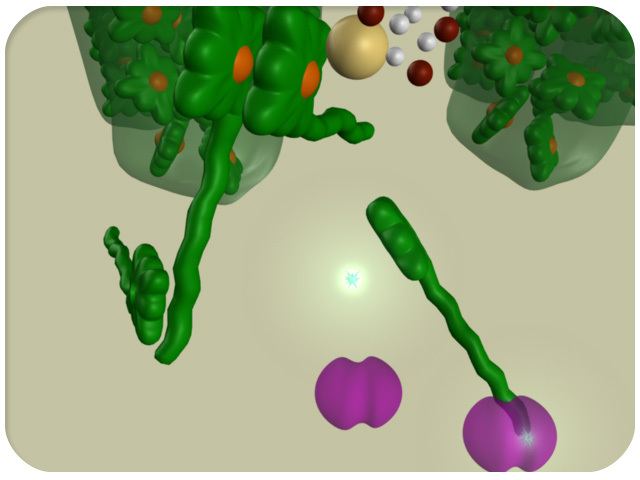 Surrounding the Photosystem II reaction center is a light absorbing antenna complex of cholorophyll molecules known as the light harvesting complex (LHC). 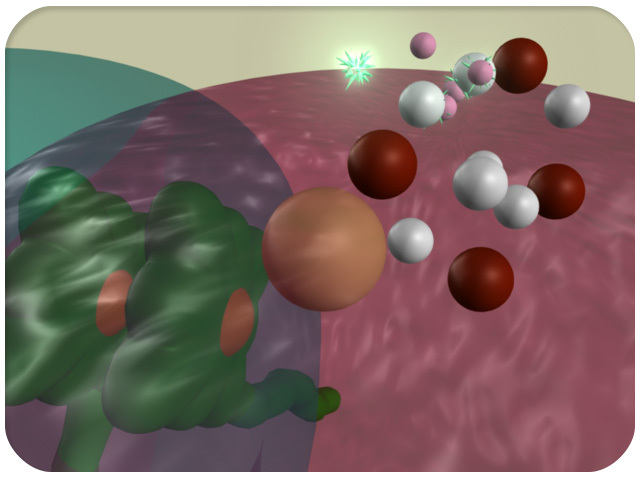 When a chlorophyll molecule within the LHC contacts a photon of light, resonance energy is produced. 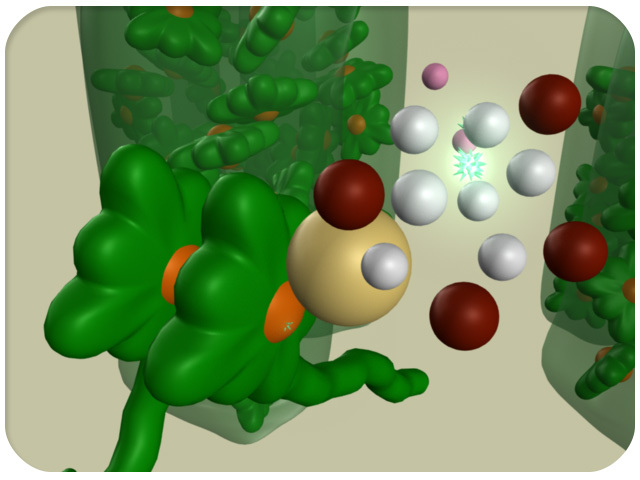 This resonance energy is transferred through several more chlorophyll molecules until it reaches the P680 chlorophyll molecules at the heart of the Photosystem II reaction center. The resonance energy causes the loss of an electron from the P680 molecules. This electron is then transferred to a pheophytin molecule, then to Qa and finally to Qb. P680 is then reduced by the splitting of a water molecule which replaces the electron lost in this process. In order to fully reduce Qb, a second electron is required. This means a second photon of light is needed to remove an electron from P680. Once again resonance energy is transferred through the LHC to the P680 molecules, causing the loss of another electron. As before, the electron is transferred to plastoquinone Qb. 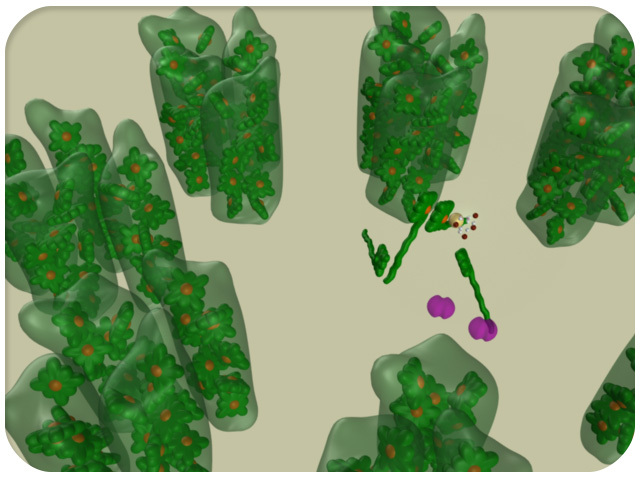 Once Qb is fully reduced, it becomes a mobile carrier and leaves Photosystem II on its way to the next component of the photosynthetic electron transport system. The splitting of water molecules occurs at the oxygen-evolving complex. Here we see the second of two water molecules being split. 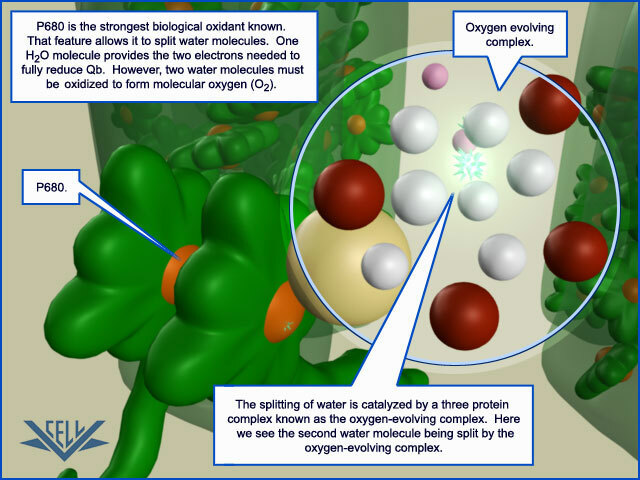 Once two molecules of water have been split, one molecule of molecular oxygen (O2) is produced. This final product of the Photosystem II reaction is the oxygen we breathe. Register to download our animations in various formats for free. Additional funding provided by the U.S. Department of Education's Fund for the Improvement of Postsecondary Education. 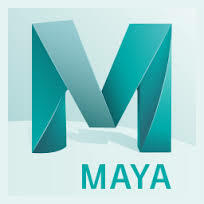 With support from Autodesk's® Academy Award® winning 3-D animation and effects software Maya®. Download our free iOS app! The app includes the animation, still images, narrative, and a quiz for each included topic. Visit the App Store to learn more.